Listen this week to the second half of our conversation with Dan Baumann, who was imprisoned on a trip to Iran and regularly beaten by guards. You’ll hear how Dan saw the heart of his tormentor changed by the love of God, and how he found out he’d be released—exactly on the schedule God had revealed to him on the day of his arrest. Dan will also share how God gave him experiences that have kept his heart soft towards the Iranian people, and practical advice on how we can pray for Christians in prison for their faith today. Dan will also talk about the unique prayer that his mother prayed right after his arrest in Iran. If you missed Part I of our interview with Dan, you can listen to it here. After you listen to this week’s episode, order a copy of the book which tells the story of Dan’s experiences in Iran, Cell 58 (affiliate link), and learn more about his ministry, YWAM. 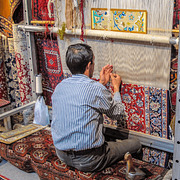 Dan Baumann was living in Central Asia when he and a friend decided to make a Christmas-break visit to Iran. 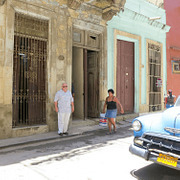 They experienced the warm welcome of the Persian people and culture, right up to the point where they tried to cross the border and exit the country. Passports were confiscated, and Dan found himself in a jail cell, interrogated harshly and beaten regularly. Dan experienced the depth of depression in prison, even making a plan to “escape” a long prison sentence by taking his own life. But God was still there, and Dan found Him to be faithful to show His amazing love, even in prison. God also taught Dan a great deal about loving our enemies, a difficult challenge when your enemies are literally beating you each day. Hear about that life-changing lesson this week on VOM Radio, and be back next week to hear the conclusion of our interview with Dan Baumann. After you listen to this week’s episode, order a copy of the book which tells the story of Dan’s experiences in Iran, Cell 58 (affiliate link), and learn more about his ministry, YWAM. “I was willing to die [for Christ]. But the only thing that happened to me was I got tortured for seven years....” Listen this week as Brad Phillips shares how he was inspired by these words of thankfulness from a bold Sudanese believer who suffered greatly for the gospel message. 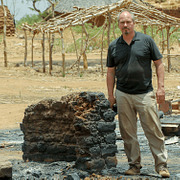 Brad leads Persecution Project Foundation, VOM’s project partner serving Christians from Sudan. In Brad’s years of ministry in Sudan, he’s met countless brave Christians who have suffered for the gospel, and his own faith has been inspired by their faithfulness to Christ under extreme suffering. Brad will share some of their stories this week, as well as ways that The Voice of the Martyrs is standing with and supporting our brothers and sisters in Sudan. As Brad and Todd discuss this week, one of the ways you can help Christians in Sudan (and other nations) is by providing a VOM Action Pack. One year ago Petr Jasek walked out of a Sudanese prison, a free man after 445 days as a prisoner of the government of Sudan. Listen as Petr—who served as VOM’s regional director for ministry in Africa—shares what God has done and taught since Petr’s release, including the release of the Sudanese men who were on trial with Petr and the emotion of being reunited with them. 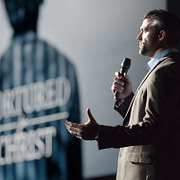 Listen also for further discussion of Petr’s time in prison, how God moved and how Petr coped with the stress and the persecution he faced in the prison. Petr will also talk about how he and his family prepared ahead of time for the possibility of his arrest, and how his story has impacted Christians in his native Czech Republic. Right after his release, Petr shared the full story of his arrest and time in prison, including sharing his first prison cell with ISIS fighters. You can listen to those interviews here: Part 1, Part 2 and Part 3. 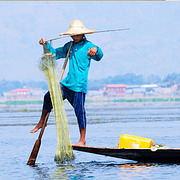 Dan Brokke is the president of Bethany International (www.BethanyInternational.org), an organization with the goal of “Taking the church to where it is not, and helping others do the same.” Listen as Dan shares how Bethany set the goal of engaging with 500 unreached, unengaged people groups by 2020. He’ll share where they are in that process, and how the organization trains workers to go to the hard places of the earth and take the gospel places where people have never before heard the name of Jesus. He’ll also share stories from some of the places where the gospel has broken out like a wildfire, with hundreds and even thousands of people making the decision to follow Christ. Finally, Dan will help us think about how to pray for workers going out to these fields—with prayer concepts right from the Scripture—and pray for other missionaries we know and support. 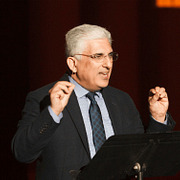 Dr. Hormoz Shariat, the president and founder of Iran Alive Ministries, has been called “The Billy Graham of Iran” by author Joel Rosenberg. Millions of Iranians refer to Shariat as, “my pastor” as he speaks to them in their living rooms each evening through satellite television. In recent months, protests broke out all over Iran; people marched in the streets against their Islamic government. Dr. Hormoz will help us understand what the protests mean, and he’ll share how he encouraged Christians in Iran to use the protests as an opportunity to share the gospel, and how they saw new hearts come to Christ. Gain a better understanding of the nation of Iran, and specific ways that you can pray for Christian believers and Muslims there, this week on VOM Radio. Tom and JoAnn Doyle have been married almost 38 years, and God has used their marriage to draw others to Christ in the United States and even in the Middle East. Listen in as they share how they’ve seen God use their marriage. They’ll tell you what Muslims see as different about a Christian marriage and how they have worked to balance God’s call to ministry and marriage in order to be successful at both. 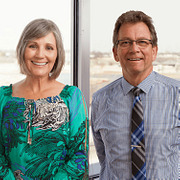 Tom and JoAnn will also share some real-life examples of how they’ve dealt with conflict, and give specific advice for different stages of your marriage. As we approach Valentine’s Day next week, spend a half hour thinking about marriage as ministry, and pray that God will use your marriage to bring others to Christ. John Grooters is the director of a new movie portraying the story of VOM's founders, Richard and Sabina Wurmbrand, the story told by Richard in his best-selling book, Tortured For Christ. Listen this week as John talks about turning this iconic book into a film, including the challenge of portraying Richard’s suffering in an appropriate way. 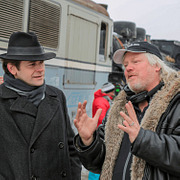 John will also share how God’s hand was on the production, including snowfall and sunshine in Romania that miraculously cooperated with the filming schedule and how He led John to just the right song for the film—a song written by a Christian cellmate of Richard Wurmbrand in prison! You’ll hear how Richard’s faith has impacted John as he studied the story and created the film, and how he hopes it will also impact the faith of the viewers, including ending the movie not with a scene of suffering but a scene of American Christians worshipping the Lord. Learn more about the film, and order the DVD, at www.TorturedForChrist.com, and hear VOM Radio host, Todd Nettleton, as a guest on John’s podcast, “No Shame,” by clicking here. 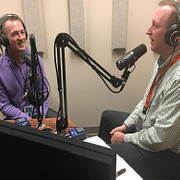 Episode Summary: Join us this week as we get to know Cole Richards, who has served more than a decade at VOM and in January stepped into the role as President and CEO of the organization. Cole will share about how God called him to missions work and share about some of the persecuted Christians he’s met who have inspired his own faith walk, and how VOM plays a unique role within the wider missions community. Cole will also give listeners an early look at some of the exciting opportunities VOM will pursue in the coming year, including a new book and movie telling the story of Richard and Sabina Wurmbrand, VOM’s founders, and an important effort to bless and minister to more than 1,000 widows in Nigeria. Cole opens up about the impact he hopes the stories of our persecuted brothers and sisters will have on American Christians—including VOM Radio listeners—to inspire them to live more boldly for Christ right where they are. Finally, he’ll share advice on how to pray for persecuted Christians, including how he makes his prayers for our persecuted family personal. If you live in the United States and do not receive VOM’s free monthly newsletter, sign up here. 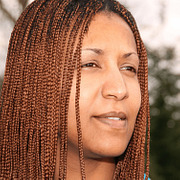 For years, Helen Berhane read Scriptures about forgiving our enemies and praying for those who persecute us. But during long months as a prisoner in Eritrea—including long stretches locked in a metal shipping container—Helen got to see those Scriptures come to life in her own spirit and actions. In this second half of our conversation, she shares how she found that in the fires of intense persecution she was able to forgive and even love her persecutors. She’ll also share what it meant to know that other Christians around the world were praying for her and writing letters on her behalf, and how God’s Word powerfully impacted her as she read it while in prison. After hearing how much Christians writing letters made a difference for Helen, you’ll want to write letters to Christians currently in prison in Eritrea. Finally, Helen will encourage us with ways we can pray for Eritrea—both for our brothers and sisters in prison there and for government leaders in the country who are persecuting our Christian family. If you missed Part 1 of our conversation with Helen, you can listen to it here. You can also order a copy of Helen’s book, Song of the Nightingale. 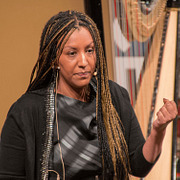 Helen Berhane was a well-known worship leader and gospel singer in the churches of Eritrea when the government outlawed evangelical churches. In one week these churches went from meeting openly in large public services to being underground, meeting in homes and hiding from police. 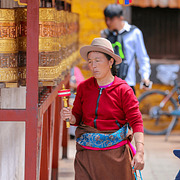 In the midst of that crackdown, Helen was arrested, beaten and put in prison. Listen as Helen shares how she prepared her heart, ahead of time, for the days when she would face persecution. She’ll talk about the Scriptures she drew strength from, and how she was able to keep singing praise to God, even as her suffering increased. Listen to how she experienced God’s amazing presence, even locked inside a metal shipping container for many months. Listen also to Part 2 of our conversation with Helen. You can also purchase a copy of Helen’s book, Song of the Nightingale. 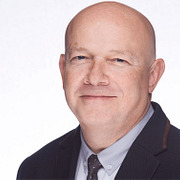 Jim Dau served at VOM for 18 years, including in recent years as VOM’s President and CEO. Join VOM Radio this week to hear about Jim’s recent visit to persecuted Christians in Myanmar (Burma), including a family that faced intense persecution just days after coming to faith in Christ. Jim will also look back on some of the Christians that impacted him during his service at VOM, and some of the spiritual qualities he’s seen in these brothers and sisters that inspired his own faith. He’ll share how he prays for our persecuted family members, and how he and his wife, Peggy, have been intentional to share the stories of persecuted Christians with their grandchildren to inspire their commitment to Christ, using VOM resources like The Torchlighters and I Am N videos. If you live in the U.S. and do not receive VOM’s free monthly newsletter, sign up at persecution.com. This week we begin a look back at some of the most memorable moments on VOM Radio in 2017. Hear Petr Jasek share how, after he was arrested in Sudan and put into a prison cell, he realized God had been preparing him for that moment, and had even shown him the prison cell door in a dream. Brother David will share how when police showed up to arrest him in Turkey, he was excited that God must have big plans for ministry in store. Dr. Andrew says when he was arrested, he was terrified. Being afraid isn’t the problem, he says, as long as you aren’t controlled by that fear but instead are controlled by the reality of Who God is. David Shestakov shares what it meant to receive letters from Christians around the world while he was imprisoned in Uzbekistan. Sister Leanna shares how God called her out of a career training horses to share His love in India. And finally we’ll share a miracle story of a Bible delivery to Christians inside Syria—a story that will inspire you with how God’s hand is still at work in the Middle East today. Use the search feature at www.VOMRadio.net to hear the entire conversations with each of these guests. Loren Cunningham, the founder of Youth With a Mission (https://ywam.org/), is back with us this week on VOM Radio, fresh off of a visit to the nation of Nigeria. 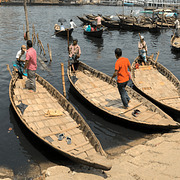 Listen as he shares why Nigeria is such a strategic nation in reaching Africa for Christ. God is working to bring people to Christ in Nigeria—including militants violently opposed to the gospel—and He’s using YWAM workers in powerful ways to build His Kingdom in that nation. 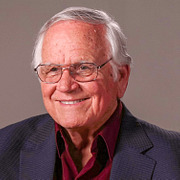 Cunningham will also share advice for those seeking God’s will for their lives, advice that grows out of his decades of working with God around the world and sending out more than five million gospel workers. Finally, he’ll equip listeners with specific ways to pray for Nigeria right now. You can hear Loren’s previous conversations with VOM Radio https://secure.persecution.com/radio/default.aspx?pdid=6834 and https://secure.persecution.com/radio/default.aspx?pdid=6837. And order a copy of Loren’s latest book, End Bible Poverty Now http://amzn.to/2yteYnl (affiliate link). Edward Ayub is back to continue our conversation about gospel work and persecution in Bangladesh. 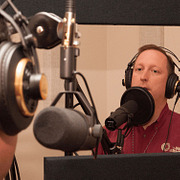 Listen as he shares about a training center where Christians, Muslims and followers of other faiths come together to study the different religions. Edward shares how some Muslims who come to the center find that Jesus offers answers to questions of their heart that Islam has no answers for. He also gives advice for American Christians who want to reach out to Muslims, saying that Muslims appreciate a direct approach that openly presents the gospel. 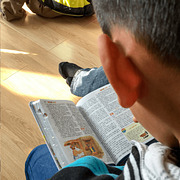 Finally, he equips listeners to pray effectively for Bangladesh and the church there. You can give online to help support front-line gospel workers in Bangladesh and other nations where they face persecution for sharing the gospel. If you missed the first half of our interview with Edward, you can listen to it here. North Korea is heavily featured in current news, especially as U.S. President Donald Trump visits Asia. This week on VOM Radio we’ll look behind the headlines with Dr. Eric Foley, the President of VOM-Korea who oversees VOM work to encourage Christians inside North Korea and to reach North Koreans with the gospel message of Christ—North Koreans living inside North Korea and those living in other nations. Why does Dr. Foley consider North Korea to be the most religious nation on earth? What has changed in recent months that has dramatically cut the flow of North Korean people across the border into China? And how are North Koreans responding to the gospel message of salvation through Christ instead of the propaganda of the brutal Kim regime? You’ll have greater understanding and greater ability to pray effectively for North Korea after this week’s episode of VOM Radio. Learn more about the history of the church in North Korea by reading RESTRICTED NATIONS: North Korea, written by VOM Radio host, Todd Nettleton.